As President, Global Channels & General Business, Rodolpho Cardenuto is responsible for driving SAP Board-sponsored initiatives through SAP partners and accelerating the company’s growth through new and existing sales channels worldwide. SAP partnerships account for a significant portion of SAP’s sales, innovations, and services. Under Rodolpho’s leadership, Global Channels & General Business works to elevate our mutual success with partners. 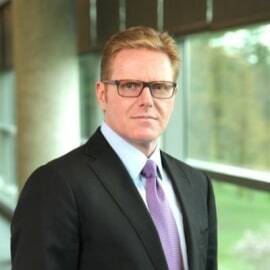 Rodolpho previously was president of SAP Americas from January 2013 to May 2014, responsible for leading the business in North America and Latin America. The combined Americas region was SAP’s largest, with nearly 80,000 customers and operations in 13 countries. In October of 2014 Rodolpho was asked to again lead the Latin America region in addition to his global GPO responsibility. During his time as leader of SAP LAC, the region became a top performing market for SAP globally and delivered double digit growth for 14 consecutive quarters. In addition, Brazil and Mexico delivered unprecedented growth during his tenure and are among the top markets for SAP globally in terms of financial performance and contribution. Rodolpho has more than 25 years of experience in the IT industry. Prior to joining SAP, he spent 17 years at Hewlett Packard in leadership roles including sales management and GM in Brazil and leading the Industries, Partners and SME business for the Latin America region.